This summer we have been trying to make a new cocktail every weekend. I scored a super cute, vintage bar cart awhile ago and have been itching to fill it up with some more grown up mixers, so we have been trying to up our game lately and get a little fancy. 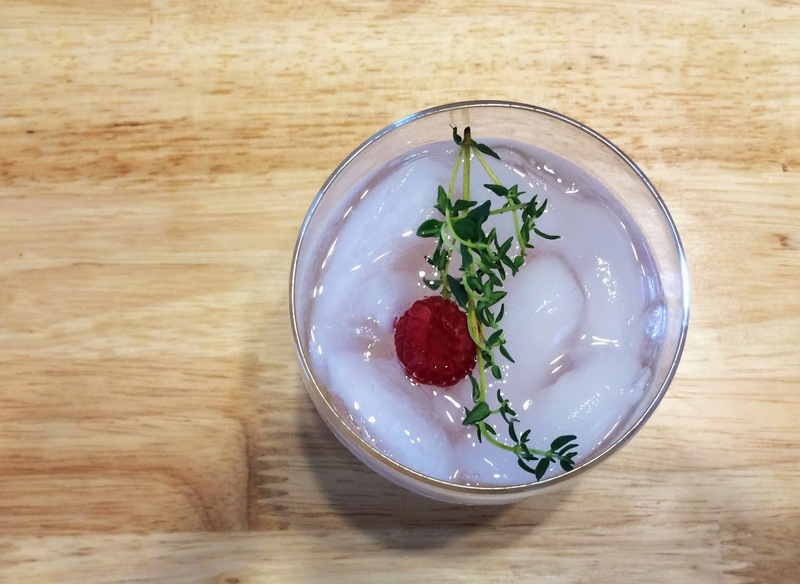 This past weekend we made a jazzed up gin fizz with fresh thyme and raspberries. My first go around was a little strong, but I think I got it right on the second try. 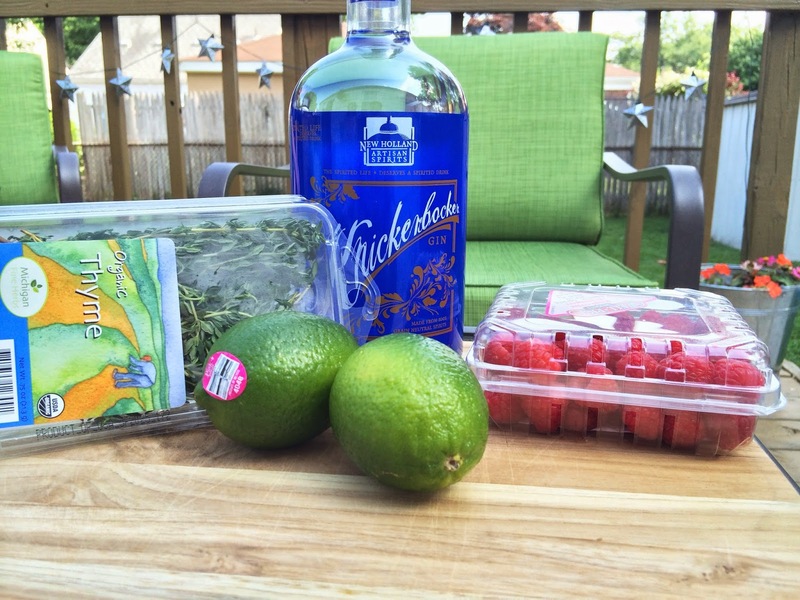 Add a good handful of raspberries, a few sprigs of thyme, the juice of one or two limes and gin to your pitcher. I didn't use any precise measurements, I just added and taste tested along the way. Muddle these together so the liquid starts turning a slight pink. 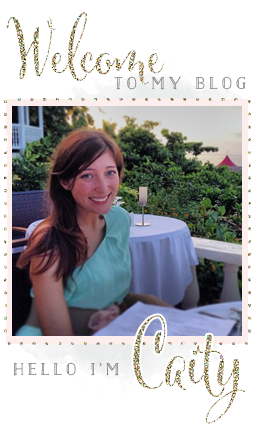 Add in the sparkling water and pour over ice. 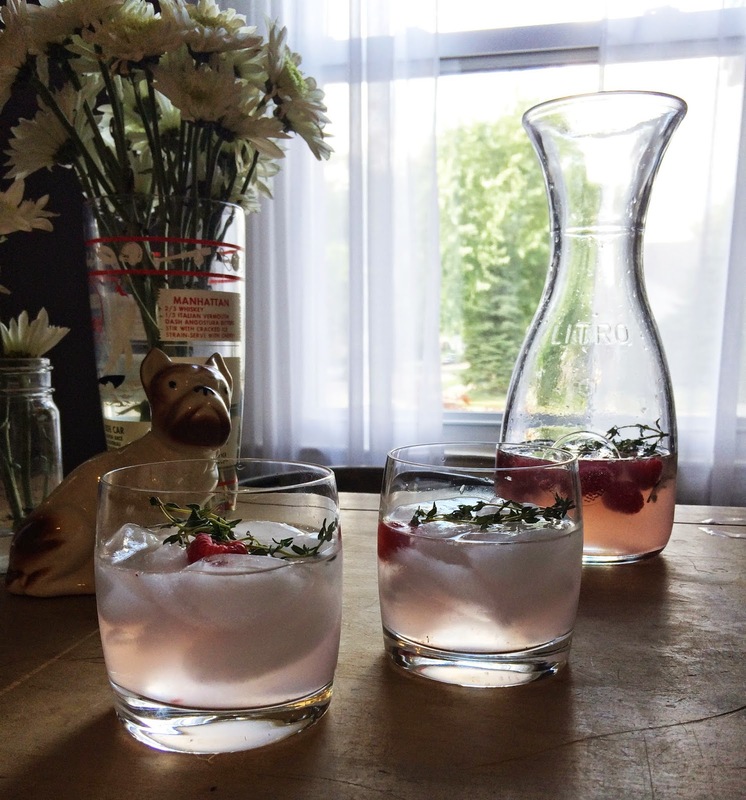 This drink was super easy to make and tasted just like summer. A few tips I found where to keep the thyme leaves on the branch, otherwise you keep getting little leaves in your straw. 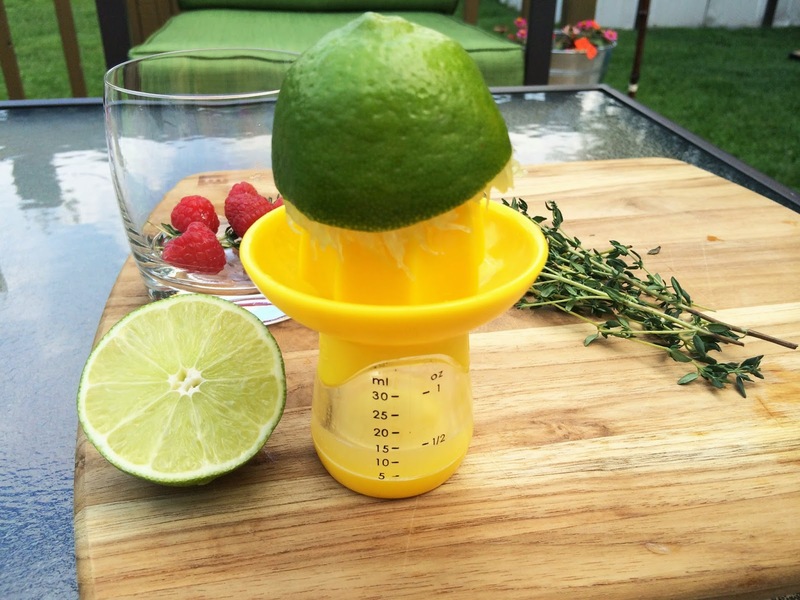 Also that little guy above made juicing the limes so much easier! This is by far my favorite kitchen gadget! I love a good cocktail! I'm going to have to try this one.